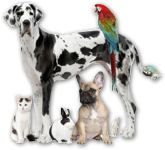 Pets And Odor Problems A Thing Of The Past. Dogs, cats, birds, rabbits, hamsters, gerbils, litter boxes, cages, pet beds, pens, rugs and furniture… if it’s stinky Bye Bye Odor will fix it. Bye Bye Odor is safe for people and animals, and can be used both indoors and outdoors. For decades, similar microbes to those found in Bye Bye Odor have been used to break down odors from all types of causes. Bye Bye Odor is stronger than other available products. It has a much higher concentration of microbes that eliminate odor. It is a safe and natural solution especially formulated to substantially reduce or eliminate a wide range of odors. It is not an odor cover up, it is an odor clean up. Bye Bye Odor should not stain or discolor materials but always test it on an inconspicuous area first. Bye Bye Odor comes as a super concentrate that is diluted with water before use. Simply pour the 4 oz bottle into a clean 2-3 gallon garden-type, pump up sprayer and add tap water. Clean the kennel or pen area as you normally do then spray a generous mist of Bye Bye Odor every day. It’s quick and easy. Regular daily usage is suggested for best results. Within three to five days of daily application the unpleasant smell will be gone. The following are Amazon.com customer comments. Bye Bye Odor is also available there at the same price. #1 Get this if you have pets!- This is the only thing that actually takes out the odor. I love this stuff!!! Five more words for the bot -- but there's nothing more to say, it just works. #2 Stop Looking, You've Found It, The last You'll Ever Need!- I really can't say enough about this product because I've tried so many bypassing this one because of price. All others together doesn't even come close to this product. I've taken all others off of my list. Purchase Bye Bye Odor Today!